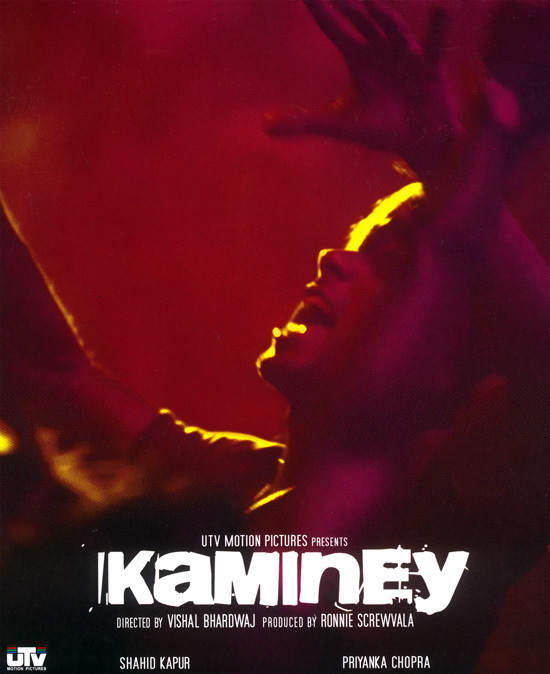 Since I got hold of this album late and happened to read two excellent reviews already written, I was initially thinking of not writing a review of Kaminey. But I am now so hooked to it that I decided to pen down my thoughts anyways. The best song of the lot is indeed the roller-coaster ride that is Dhan Te Nan!! The gangster-like motif on the line Dhan Te Nan and the recently oft-used surf guitaring (Pump It, Cash) complemented wonderfully by Sukhwinder’s and Vishal Dadlani’s power-packed singing. Whatte song!! The hip-hoppish remix with Bob Omulo’s rap has been nicely done as well, but I really couldn’t see a requirement for that after the brilliant original version. Coming to Pehli Baar, when you see Mohit Chauhan in the credits section the expectations from the song are set. This song is no different either, no negatives intended. Pehli Baar is a brilliant composition, Mohit living upto his reputation in delivering such breezy melodies. But I feel if he goes on like this people might start getting fed up. There was a time when Lucky Ali used to be similarly typefied, his voice reminding of associated Caribbean-style beats et al. I thought the success of ARR’s Masakalli would have led MDs to give him faster numbers but that doesn’t seem to be the case. Coming back to the review however, next up is the title track. 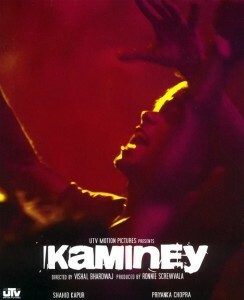 When you have a title like Kaminey, you would expect a violent abusive sort of song. But Vishal totally takes you by surprise here, dishing out a soft number that would hardly have you thinking of the title as an abuse. The instrumentation has been superb, especially the orchestral second interlude. The violin segment just blew me away!! And splendid singing by Vishal Bharadwaj. Kailash Kher and Sukhwinder Singh render the folksy Fatak to perfection. But the song reminded me of his older songs like Omkara. The whipping sound accompanying the word Fatak is nice. The singer I was waiting for, Rekha Bharadwaj, enters in Raat Ke Dhaai Baje, an item number I presume. As always, its sheer delight to hear sing, with excellent support given by Sunidhi Chauhan. I was surprised to hear Suresh Wadkar in this song given the genre. But he does his part very well in his own unique way. Vishal also slows things down a bit in the middle for Suresh. Other vocalists joining in are Kunal Ganjawala and Earl. Again I found the remix a redundancy. Go Charlie Go, the instrumental theme of the movie, is a reprise of Dhan Te Nan, albeit with more retro whodunit sort of music, heavy beats et al. A fitting end to the soundtrack. Vishal Bharadwaj continues to surprise with his diversity. And I am not complaining! !